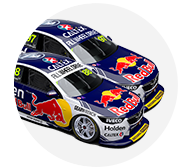 Friday pacesetter Whincup spun at the hairpin in the second segment, causing a red flag and ruling him out of the rest of the session. He will start 15th. 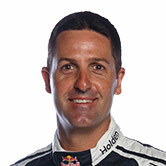 "I just locked the rears under brakes," Friday pacesetter Whincup said. "There’s not much run-off there, I tried to spin the car to stay out of the dirt but couldn’t quite manage it. "Small error, big costly mistake. Around here P20 is a long way." 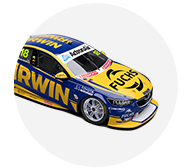 Winterbottom's lap was set in the final minute of the 10 in Q3, with his last pole coming at Townsville in July 2016, while it is Team 18's first ever. It also ends the run of poles for Ford's new Mustang in the 2019 season, in the seventh race. "It’s awesome. 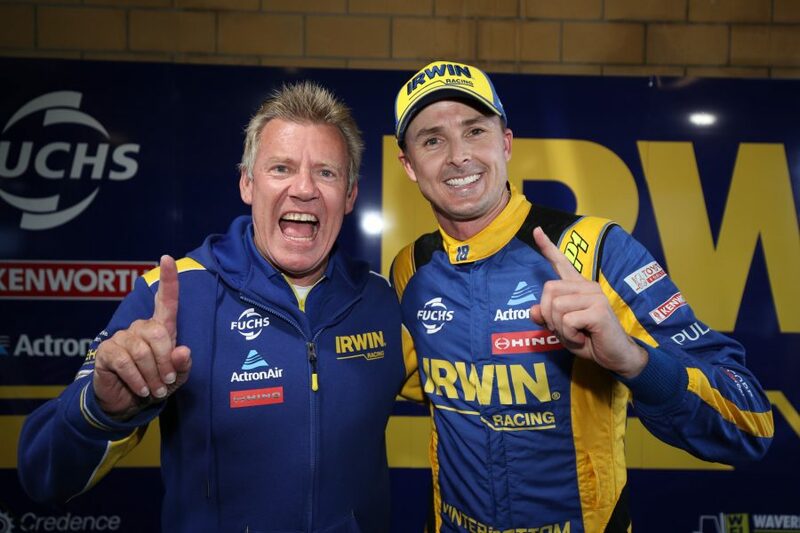 I’m a bit emotional, it’s been a while," Winterbottom said. "We’re a small team, but I think we can do special things and this is just another achievement. "I’m so proud for Charlie, he’s been working his backside off to put this together. I’m lucky, it’s all falling into place and I get to play a part in it. "I came here because I saw a good opportunity. I’m enjoying my racing, I’m loving working for this team. "When you do things like this you can see what it means. They’d never had a pole before and I can contribute to that, hopefully we can get their first trophy." 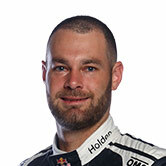 Shane van Gisbergen led the Q3 order late until the improvements of Winterbottom and McLaughlin but had to settle for third, a scant 0.0136s off pole. "Our series really is the best in the world, [that margin] is a driver issue. I didn’t quite get it right," he admitted. "But congrats to Mark, good to see their team up front. He’s had a hard couple of years, but now he’s driving the good brand he’s doing well." McLaughlin was 10th before his late effort, after firing off at Turn 6 on his first flying lap in Q3. 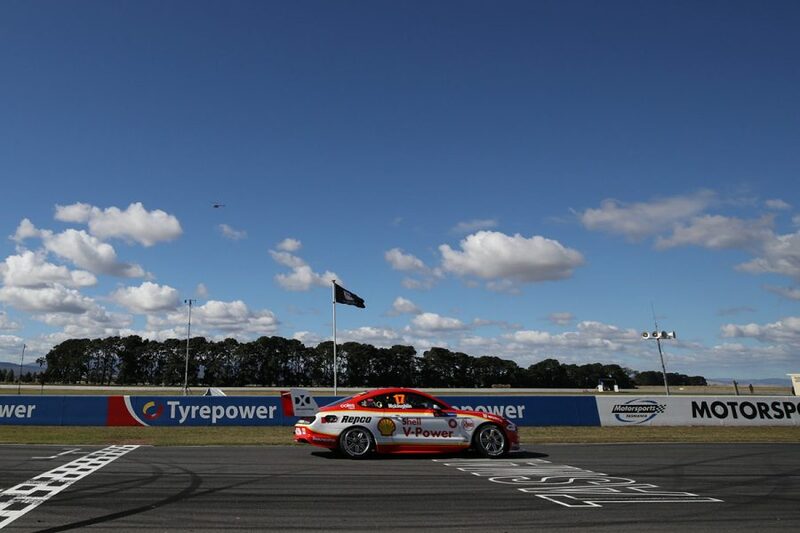 He improved to second while Shell V-Power Racing team-mate Fabian Coulthard took fourth. "I’m feeling pretty second hand. 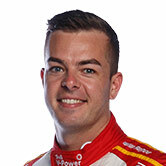 The car was awesome but I just made a mistake on the first run we did there," championship leader McLaughlin said. "It was all happening. Jamie went off in front of me and then a few other things, but overall it’s a good starting point for us." 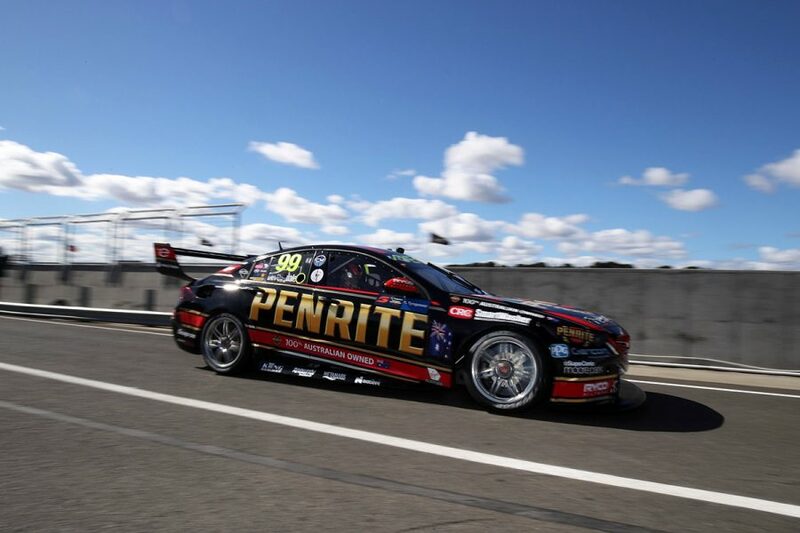 The Holdens of David Reynolds, James Courtney, Tim Slade and Anton De Pasquale and Tickford Mustang pair Lee Holdsworth and Cameron Waters rounded out the top 10. From that group, Slade, De Pasquale, Holdsworth and Waters all made Q3 from the very first session. Slade's Brad Jones Racing team-mate Nick Percat was the fifth driver to advance from Q1. 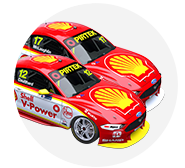 Practice 3 pacesetter Percat's run ended in Q2 and he will start 12th, between the other Tickford Mustangs of Chaz Mostert and Will Davison. 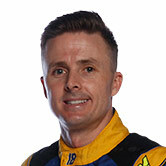 Todd Hazelwood was also eliminated in Q2 and will start 14th. Scott Pye missed a Q2 spot by virtue of when he set his fastest lap in Q1. The Mobil 1 MEGA Racing driver turned a 51.0200s that matched Percat, but Percat recorded his lap earlier so advanced. It leaves Pye 16th, ahead of Richie Stanaway and lead Nissan Rick Kelly, while wildcard Jack Smith will start 22nd. Andre Heimgartner's Kelly Racing Nissan suffered an engine issue early in Q1 and did not set a time. Saturday's 50-lap race starts at 4:40pm, with teams only permitted basic servicing between now and then in a trial of new parc ferme regulations.